They say-oh, that ubiquitous "they" who form the chorus of voices that every parent quotes, ignores or adopts based on the situation at hand-that every baby, every child, is different. I'll agree with that. Case in point, Hatchling #1 still comes into our bed in the middle of the night. Either followed or preceded by Hatchling #2. And #3 is usually already there. Wait, that's not really a good example. But what *is* a good example is that #3 has taken to a sippy cup like a champ. 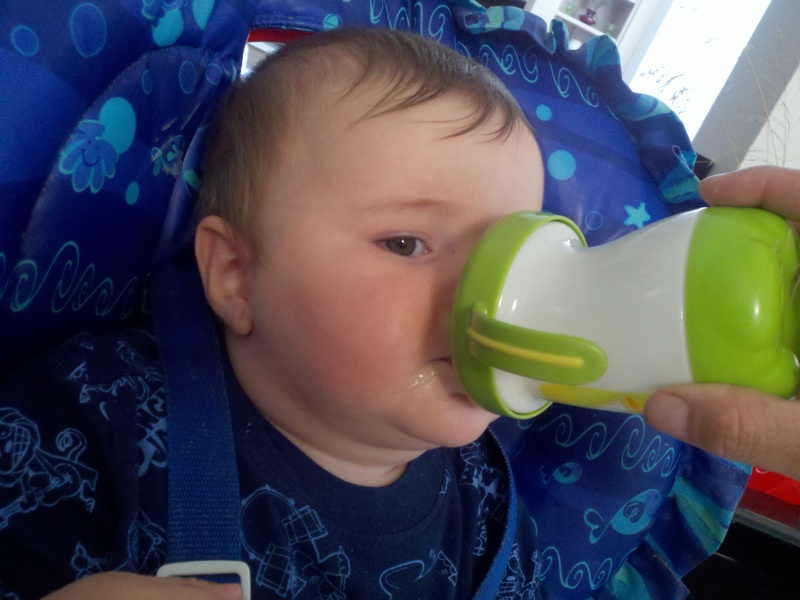 Neither of my other ones liked sippy cups until much practice and after they were already a year old. And breast milk in a sippy? No way for either of them. No idea why, but could have something to do with the fact that I could never pump enough while working to supply three bottles a day, plus enough to mix with cereal, and some for sippy practice on top of that. So this kid has the sippy thing down, but "they" say he should be crawling by now and he's not so interested in that. But hey, #1 didn't start until about 9 months while #2 was walking by 10. So what do "they" know? Now if you'll excuse me, I have to go pack because the husband is going to see this and say "well now I know why you aren't ready" when it's time to leave for our road trip tonight. So do me a favor and give me some reading for the road about your own milestone stories about how your babies were (and still are) different from each other or diverge from what "they" say.